Lets get deep. You just got killed in the line of duty (I told you deep). You’ve been the one handling all of the finances. How do you prepare your family and give them a place to figure all of this stuff out? With a Legacy Drawer!! You do all the budgets, pay all the bills, handle the insurance renewals and income taxes. You do everything when it comes to the household finances. Now you have a grieving spouse that is lost when it comes to all of this. We want to help make this process a little easier. Whether it is a drawer, a box, whatever it is (mine is an accordion file). This is merely a centralized place to keep all of your important financial documents, instructions, ect. so that if the worse occurs your spouse and/or family know where to go to start to pick up the financial pieces to a the puzzle. Letters to Loved Ones – This is a tough one, especially if you have kids. You see my 6 year old will remember me, but my 2 year old won’t. So I have written letters to them explaining how much I loved them and what they meant to me. What were some of the most cherished memories I had of them. Warning!!! When you do this take the whole day off because you are going to bawl your eyes out. This is one of the toughest letters you will ever write!! Will/Living Will – A copy of the will and living will go here. This way they know exactly where to find it. Who did the will so they can contact attorney’s to start the probate process. Financial Accounts -Include anything that has a dollar in it should have a statement in this section so your spouse and family know where to find your money. Passwords – anyone else in password holy you know what???? Thank you CJIS compliance!! My wife hates paying bills. I keep telling her that I’m going to make her pay the electricity bill for a few months so she knows how to do it and she keeps telling me “I hope you like living in the dark”. I use a password keeper program (there are several) so that if something happens to me she can go to the password keeper program and click on the the company we use for electricity service and get the username and password to log on and pay the bill. Same thing for every bill, and every online account I have (facebook, linkedin, email, ect.). Insurance Policies – Auto, Home, Life, ect. Don’t just focus on the life insurance policies. Again “what if games”. what if you die and there is a hail storm the next week. Who do they call to file a claim on the damage? Who much did you pay so they know when it comes time for renewals? Income Taxes – the lovely IRS. They don’t really care if you die, they will still audit you the next day. I keep three years of income taxes in this section so that if we do get audited my wife has them available. I also keep the phone number to our CPA (if you use an online version remember passwords and user names). Important Documents – Car titles, birth certificates, passports, SS cards, ect. This is a good way to keep these items centralized. There is no better time than yesterday to start putting these things together. We should know better than anyone else that tragedy happens every single day and it is often without warning. Start gathering the documents above and organizing them. 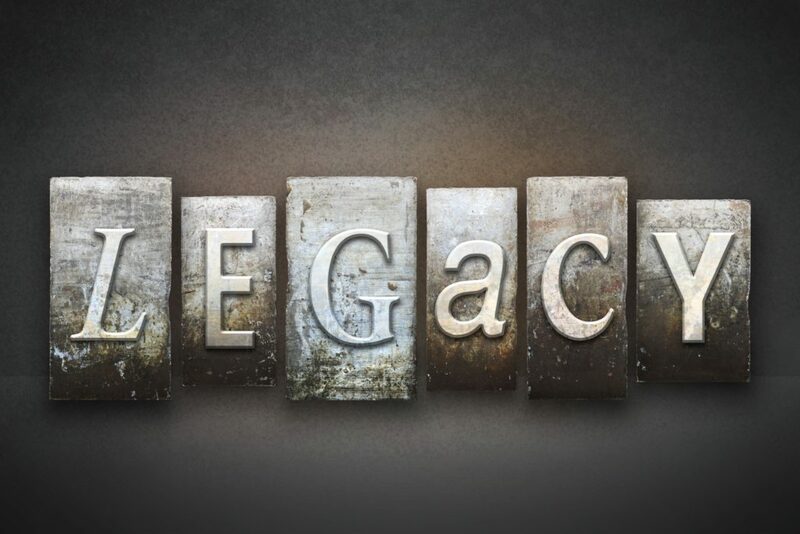 Have “the” conversation with your spouse, family, or whoever is going to need to know about the contents of this legacy drawer! !